DAVID LE/Staff photo. 5/7/15. 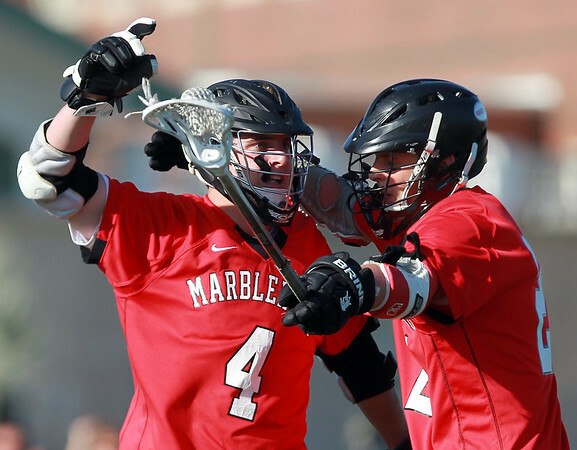 Marblehead's Brooks Tyrrell (4) celebrates a fourth quarter goal with teammate Casen Sullivan (22).